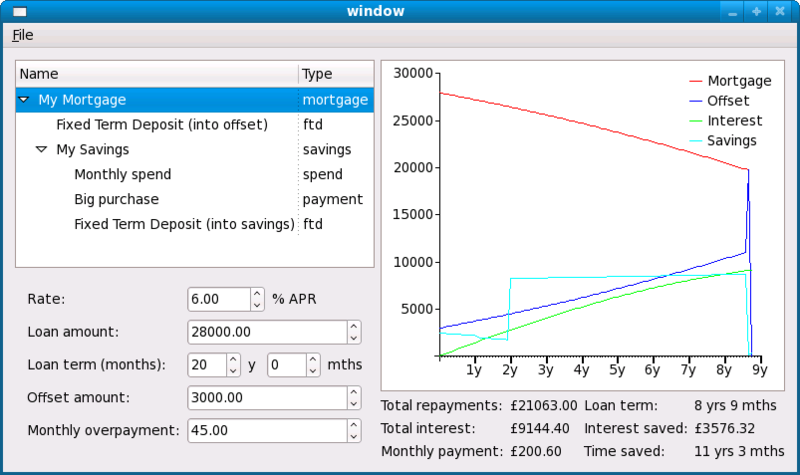 I’ve just uploaded a rough-and-ready program for modelling mortgage offsetting. 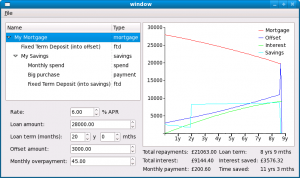 Mortgage offset accounts are like savings accounts linked to a mortgage, but instead of earning interest they reduce the interest charged by offsetting the loan amount. You are currently browsing the PRINT HEAD weblog archives for September, 2008.